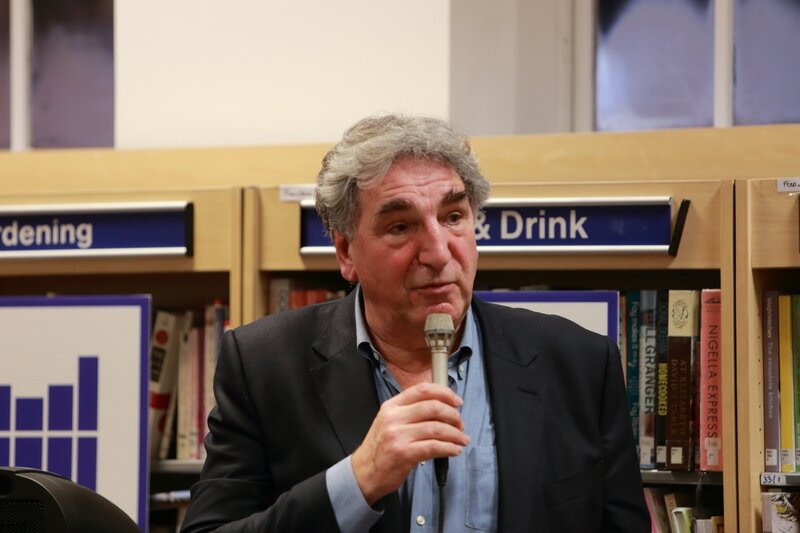 Writer, broadcaster and poker ace Victoria Coren Mitchell was in witty and engaging conversation with FoWHL's Patron, Jim Carter. 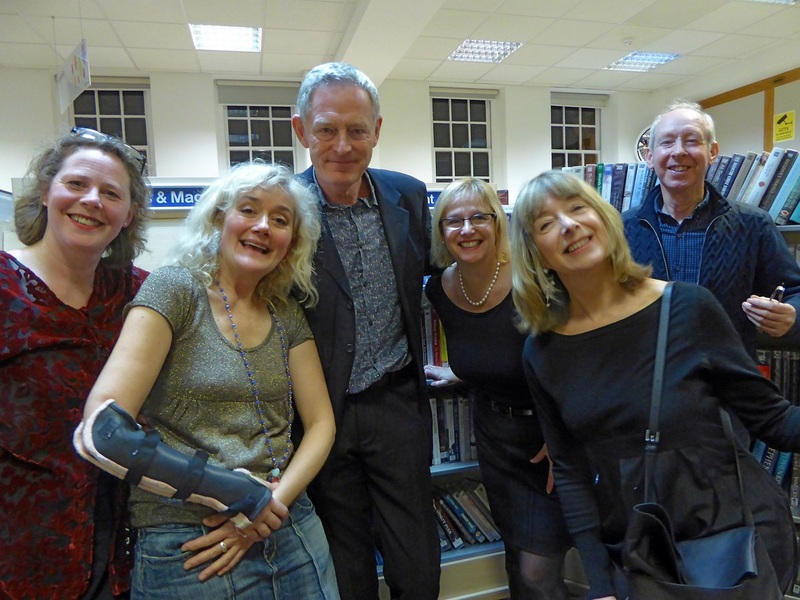 Season's Readings were brought to the library in December 2016 by the FoWHL Players: (l to r) Phyllida Hancock, Sophie Thompson, Michael Simkins, Marie Louise Clark, Julia Deakin and Andrew Frank. Actor Rebecca Front (centre), a stalwart defender of libraries in Barnet, delighted FoWHL members in December 2015 with stories from her book Curious. Helping on the night were Heidi Blackaby (left) and Danny van Emden (right) from West End Lane Books, who have been a constant source of support over the years. The FoWHL Players were back in July 2004 to celebrate the 50th anniversary of the library's opening with a series of readings entitled 'Borrowings'. Seen here are Michael Jenn (left), Emily Richard (centre) and Edward Petherbridge (right). Paul Brightwell and Nicky Kimber also performed. To celebrate Valentines Day in February 2004 the FoWHL Players performed a series of readings and songs on the subject of love and romance. They were Emily Richard (front left), Marie Angel (front right), David Petherbridge (back left), Tracey Ann Oberman (centre) and Michael Simkins (right). In March 2004 Michael Simkins also put on a splendid evening based on his hilarious book What's My Motivation? Willesden-born author and former Hampstead School pupil Zadie Smith came to the library in October 2002 to talk about her novels White Teeth and The Autograph Man. Imelda Staunton – one of a number of local actors and performers who have supported FoWHL events – reads from the children's classic, The Selfish Giant, in February 2001. Stephen Fry packed them in when he came to speak at the libary in October 2001. At the time Stephen was living in West Hampstead and so we were delighted when he agreed to be a patron of FoWHL.